An elderly Sand Hill resident was hit on the head with an axe in a family dispute this past Sunday in the village. Eighty-four year old Nicholas Ozaeta Senior had to be rushed to the hospital for treatment by his son and later requested court action against his own daughter, Lily Ozaeta. Lily was detained overnight and this morning arraigned for the aggravated assault with an axe and wounding upon her father. When she appeared before Magistrate Carlon Mendoza she did not seem well and while she denied taking meds, someone did take her medication to court. Lily pleaded guilty, but the charge of aggravated assault with an axe was withdrawn since she pleaded guilty to wounding of her father. Nicholas reported to the police that between nine and nine-thirty on Sunday, he opened his door and walked to his veranda where he was hit on his head. He fell over his veranda railing and went unconscious. When he woke up, he saw an axe next to him and while he did not remember who hit him, he knew his son took him to the hospital and that Lily was in the house. He also recalled that two years ago, Lily had choked his wife and threatened to burn down their house. When asked if this was the first time she got into trouble or had been before the court, Lily said that some years ago she went to the Belize Biltmore Plaza and caused damages to some items. 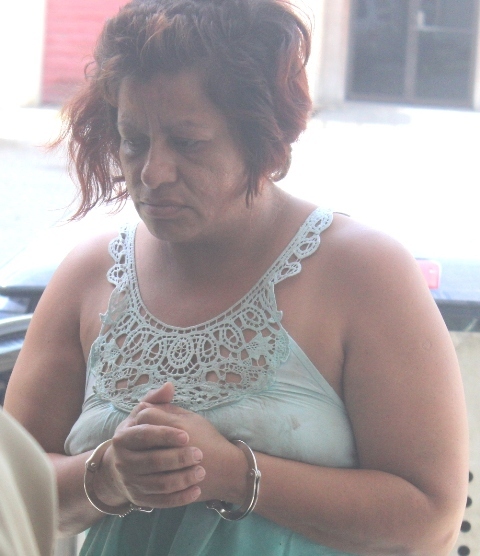 For her guilty plea, Magistrate Mendoza imposed a fine of five hundred to be paid on or before July twenty-ninth, 2016 or in default, six months imprisonment. Before leaving the court, Lily said she was worried about the whereabouts of her sons, one four and the other fifteen years old because she was in detention. Was Draft Agreement Well Received by Guatemalan Counterparts? Do Belizeans Need to Consult Guatemalan Army to Traverse Sarstoon River? Do You Think Guatemalan Armed Forces Can Be Stopped in Exerting Sovereignty Over the Sarstoon? Should Garifuna Community Have Joined in on Indigenous Land Rights Claim? Where is 14-year-old Drina Stevens?